Club Penguin Cheats by Mimo777 Club Penguin Cheats by Mimo777: Club Penguin Lighthouse Catalog! Step 2. Click the Beach. Step 3. Go inside the Lighthouse. Step 3. Click the "Instruments for sale" or the catalog in the lower right corner. Wha? No cheats in this catalog? Hopefully in the future, there will be! 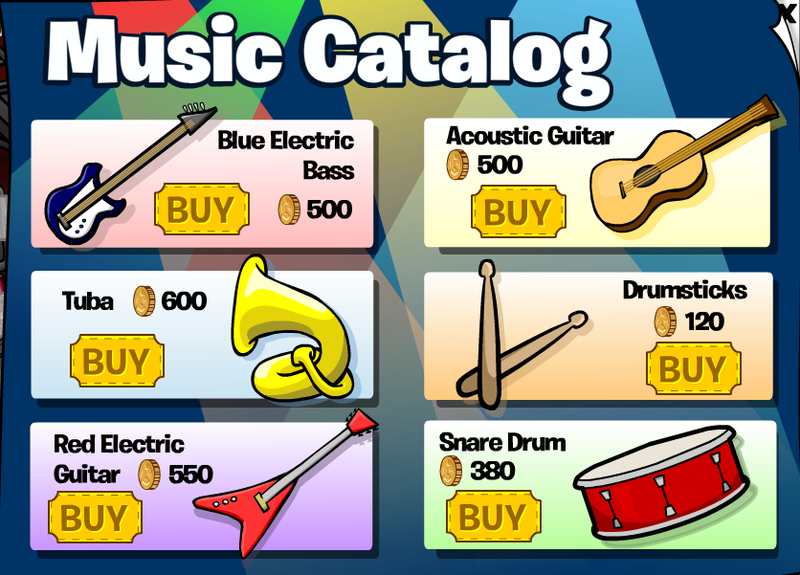 Do you like being able to buy instruments at the Lighthouse? I kinda wish there was something new in it but hey, it's cool. Maybe in the future they will add new stuff. I think its really cool, but unfortunatly i already have those instruments. Oh well it is still nice. I kinda dont like how they are the same insterments. Awesome! I miss the Sport Shop! I have all that stuff so right now I don't really care about the new catolog. Hopefully they will update it with NEW instruments. I love being able to buy musical instruments at the lighthouse! I hope they add cheats and add more instruments! 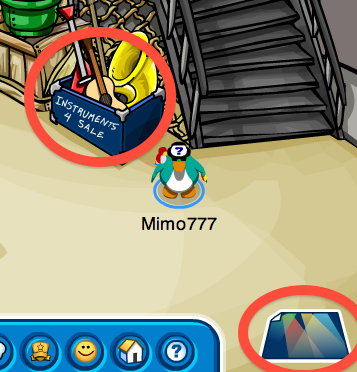 mimo: the mission of the epf is ready go to cp. quick!! I already have everything except for the Blue Electric Bass. But still COOL BASS!!! But still no cheats? Rly CP what's up with that? We love exctra items. My guess is that they're running out of ideas for instruments. But still kool stuff for people that don't have the other instruments yet! They really need to add more... I got em' all! Same here... its kind of boring! Yeah, I really wish there was new ones! At least they still have the catalog from the sports shop. I miss it too, but the EPF is cool! I was hoping that they would have some new stuff or at least some cheats. Maybe they will add some more stuff later, who knows. Not really, because they keep bringing back old items. Hmm, I don't know what you mean, this doesn't have to do with the Sport Shop, sorry! And also, please don't put CPG Mod when you aren't modding! Happy Modding! Yea me too. Maybe in the future they will add. Yea it is. I have them all too. What they could add is some musical instruments to put around your igloo. That would be nice. Either that or some pizza drums and pickle drum sticks. They are all old! I think Club Penguin should bring out more instruments!!! I agree. It's the same stuff. And I miss the Sport Shop too. if you are a non-member and complain they'll probaly just say waddle on! i miss the sports shop!!!!!!! i kinda want it back now, cuz now the "Everyday Phoning Facilty" building is now useless since im already in EPF. They will probably add more instruments later on. I REALLY don't think that CP is running out of ideas on instruments. There are thousands of instruments out there it's just that CP doesn't want to make any more right now. It's not called Club Music.